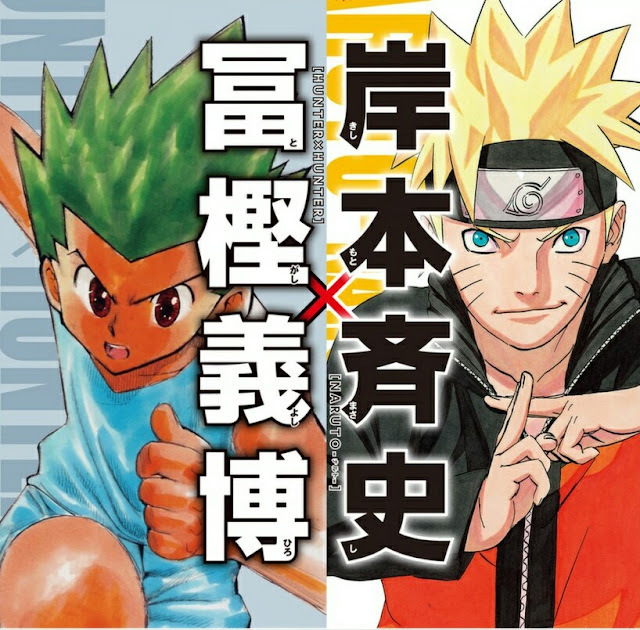 Naruto creator Kishimoto-sensei is preparing for his next work. The August 20th issue of Jump Giga magazine will feature a nine-page interview with manga creators Yoshihiro Togashi (Hunter x Hunter) and Masashi Kishimoto. This comes together with the debut of BETTEN Court and My Hero Academia Illegals. A peek revealed Kishimoto's plan for his next manga. Interviewer: For Kishimoto-sensei, do you have any plans for you next work? And Togashi-sensei, do you have any plans for something outside of Hunter x Hunter? Kishimoto: “But I don’t know. (haha). It’s still undecided. Shonen Jump Giga is a refurbished version of Jump Next which was Akamaru Jump before. This magazine collects spin-offs and special works by tenure Jump creators and by new ones as well. “I’ve already decided what I’m doing for my next work."